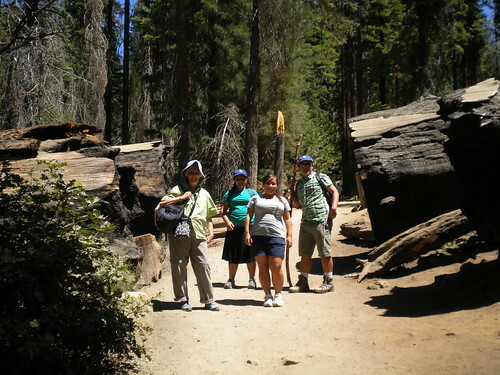 Funny that I didn’t realize that the Famous Giant Sequoias were actually in Yosemite. So when my son started talking about the Giant Sequoias on our planned trip to Yosemite, I became quite excited. Not only was I going to see the fabulous vistas of Yosemite Valley with Half Dome and El Capitan, but we could also take in the Yosemite giant Sequoias, some of the largest giant trees on earth. 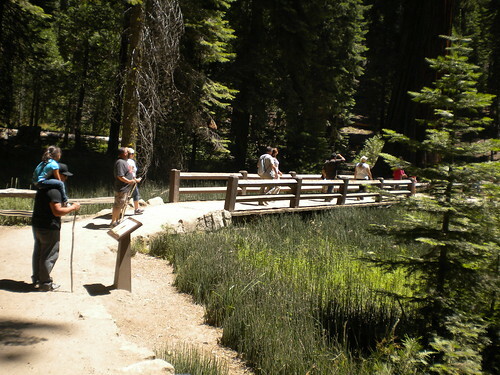 The day was hot, and I knew I didn’t want to climb to the Upper Mariposa Grove, but I was very happy to meander the half mile to the Lower Mariposa Grove to see some of the most famous trees in the Grove, old Grizzley and the Tunnel Tree and many of the others. 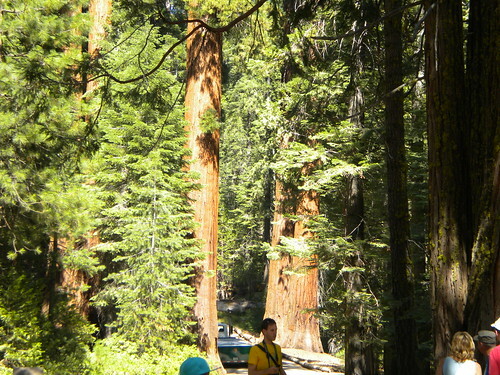 This is one of our first views of some Giant Sequoias. Starting out we passed a marshy area with an abundance of huge horsetail. Later passing the remains of a forest fire which had burned some of the Sequoia. Look how huge those trunks are. Before we reached the start of the Upper Grove, we saw more and more of the giants. The Tunnel Tree at the end of the Lower Grove. A giant sequoia root. Just look at the size of this thing. 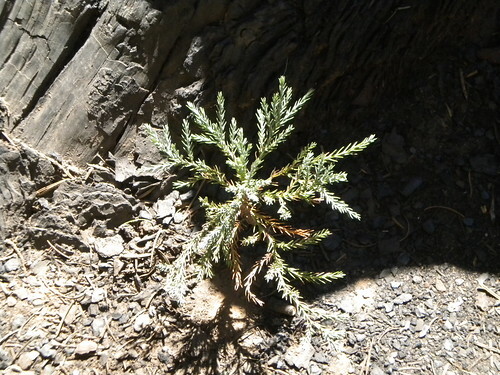 Sequoias, see how they started out and where they grow to. Here are a few images of the growth of these giants from small to tall. Foliage and cones of sequoias and other conifers at Yosemite. 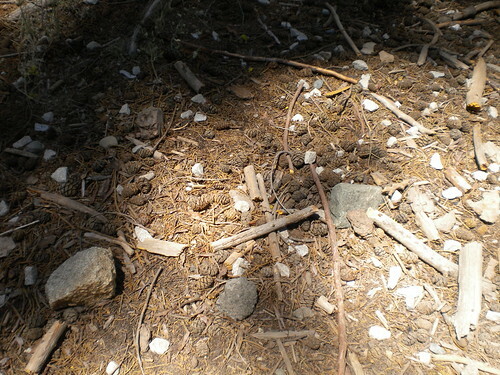 Pine cones of sequoias. 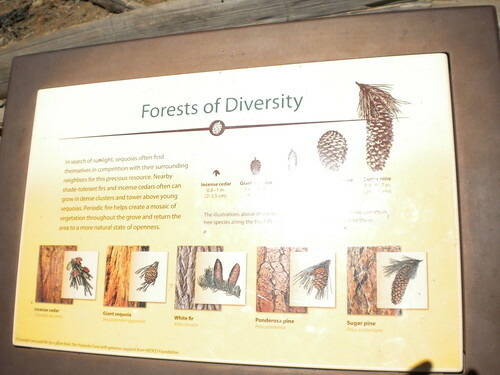 The cone are only three to four inches large. 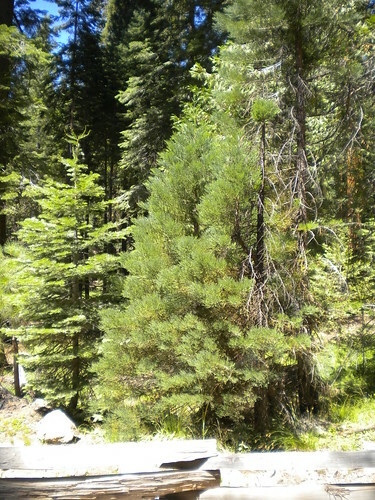 A young sequoia, about ten feet tall. Looking Up through the branches of a giant sequoia. 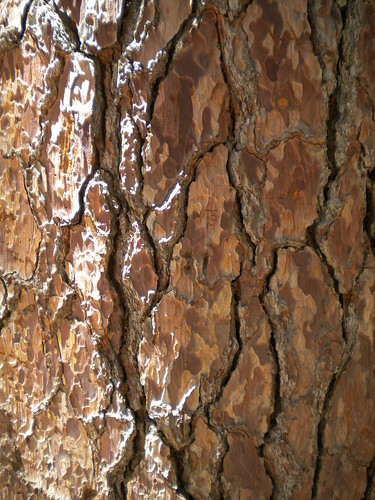 Would you just look at this cool bark. At the end, I waited for the rest of the group to do the hike to the upper grove, and then we got back in our car toward the Yosemite Valley. In all, this was amazing, and only foreshadowed our visit to the wonders of the Yosemite Valley floor. So interesting. I really enjoyed reading this post. It got my brain cells firing and now I’m off to do a little Googling. Thanks for all the wonderful photos. It is really an interesting place. These trees are so huge. They truly were amazing. I have seen large trees before, but this was over the top – literally. Thanks for coming by. They really are amazing. I have lived in California, but this is the first time I have ever been there. It was wonderful. I’ve never been there but I would sure love to see these beautiful giants. 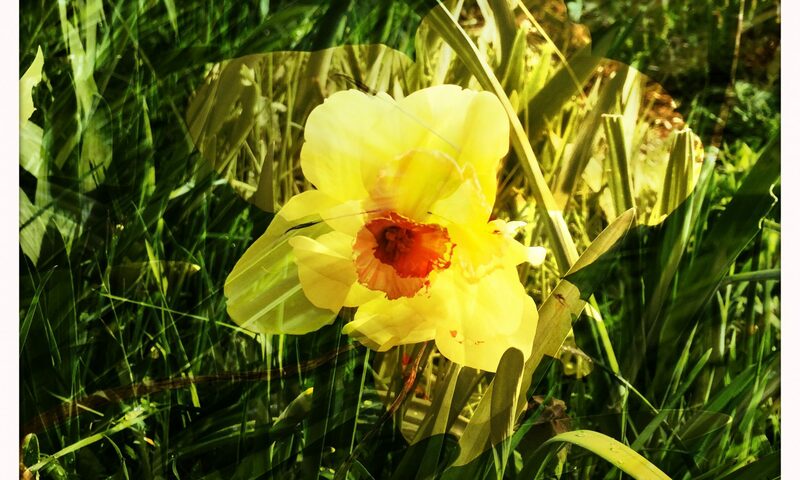 You shared wonderful photos! Thanks! Thanks and thanks for coming by. They are truly wonderful. And to see how tiny the cones are, then see how big they can become is amazing. Amazing! I hope to get there and see them! I bet it smelled good too! It was amazing. And, yes, the fragrance of the trees was nice, although dusty. 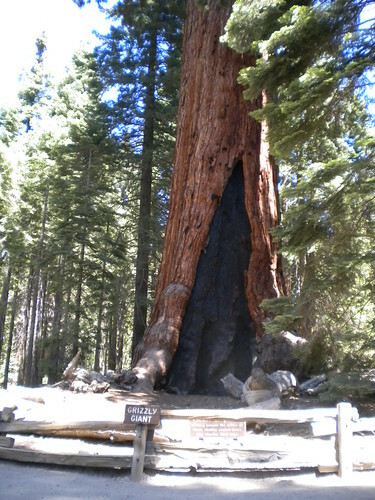 I was fortunate enough to see the Sequoias in CA. There is nothing quite like seeing them in person. They are a marvel! They are amazing. I am so glad that you have managed to get there too and see for yourself. Beautiful shots! Looks like an amazing place to visit. Thanks. It was really wonderful visiting there and then going on into thr Yosemite Valley Floor only a short distance away. 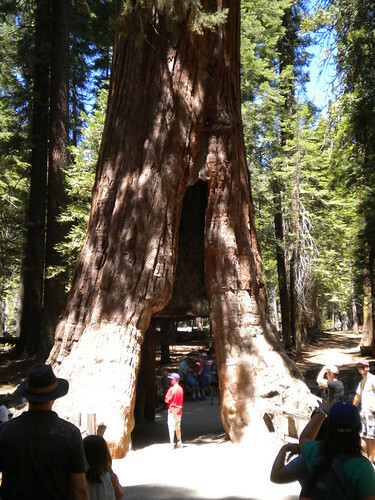 The root ball on that giant sequoia is astonishing! I’d not have hiked upward, either, you got to see plenty of wonders as it was! Isn’t that root ball something! I think that amazed me as much as the height and age of some of these trees. Wow, these are giant! Thank you for sharing them with us. Truly amazing. Thanks. They really are incredible, as was the entire trip. Definitely something to remember. They certainly are amazing natural treasures! These are really awesome trees. I am so glad to have gotten to see them. Great photos, Yael. 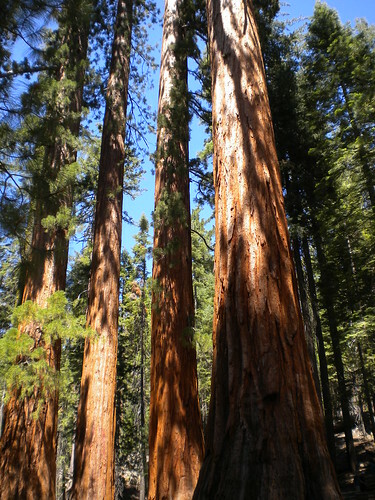 I would love to see the sequoias – they are amazing. Thanks. They are truly wonderful. I would love to go back and do the upper loop when it is not quite so hot. Hi Yael: What amazing trees. I’ve never seen them in person, so I really enjoyed seeing them via your post today. When I see huge old trees like this I am reminded of the Ents from Lord of the Rings. Take care, and have a great week! They are really something to see. I think that an LOTR analogy would be apt? You can almost imagine them as sentient. Hope that you are having a great week. Lucky you to be going. It will probably be quite a bit cooler for you. We had 90-100 degrees. Enjoy your trip. This is the place I so love to visit. Thanks for sharing the photos. Thanks for coming by. This is my first time being there, although I have seen the Yosemite Valley and Half Dome from the air several times. Hope that you are having a good week. Thanks for stopping by. That root picture really Is amazing. It really shows how large these trees really are. 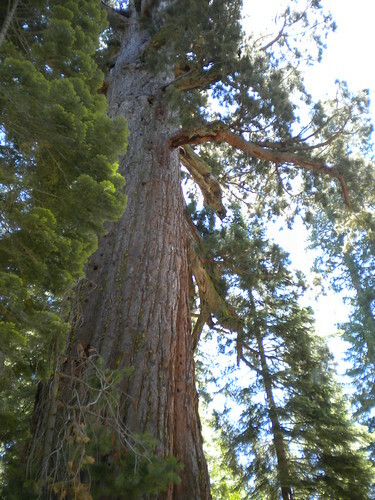 Although I’ve been to California, I’ve never seen the sequoias.. they are magnificent to see, I bet. Thanks. Tese trees are amazing. I have been to San Francisco many times, but never to Yosemite. It is hard to believe that so much grandeur is only a 4 hour ride from there. Think of the history those trees have lived through! I am sure that is true. The best we can do to get their story is to view tree rings on trees no longer living. Several years ago I was traveling in Pennsylvania when we stopped at an interesting looking Revolutionary War battlefield site. On it was an enormous tree that had been around then. How interesting to know that quite literally “George Washington Slept Here”. What a 2000 year old tree in Yosemite must have seen. Hi Yael: I wanted to leave a comment on your earlier Yosemite post, but couldn’t for some reason, so will leave it here. The scrub jays–aren’t they beautiful? We have a few that come to our feeders. They love peanut suet, so you’ll be in like Flynn if you put up a suet feeder for them. They also like black-oil sunflower seeds. They mate for life is what I’ve read, and they always show up in pairs when they come to my garden. Thank you for stopping by my blog and leaving a nice comment on my crib to trellis post–always makes my day to hear from you! I love Scrub Jays. They are beautiful. We had so few of them in Olympia and they never came to my house. I had only Stellar Jays at my feeders. Here in Salem, the reverse is true. I have tons of Scrub Jays and until last week had not seen any Stellars Jays at my feeders. Since then, we have seen a pair of Stellars Jays all over the neighborhood. I hope they have moved in. I know they must be in the wooded area about two-three blocks away. And yes, we have taken out stock in Wild Birds to keep our birds in suet. And we are well rewarded with jays, chickadees, Downey and Hairy Woodpeckers and Northern Flickers (who have just returned after the summer off), and little Bushtits which swarm the suet. I have not put out sunflower seeds other than that which is in the regular feed mix. I guess I could put another arm on my feeder pole for a new feeder. Hope that you have a great weekend. It is always good to hear from you as well. Thanks. The trees were wonderful. Awesome! I haven’t been to Yosemite since 2002. It was a spectacular trip. Very memorable. This was my first trip. I hope it won’t be my last. Amazing trees — one of the great wonders I would say. They truly were a wonder. And they are amazing. To think such a truly enormous tree can come from such a small cone. Hubby and I have never been to Yosemite. Not really sure why. I think it’s a trip we need to make. 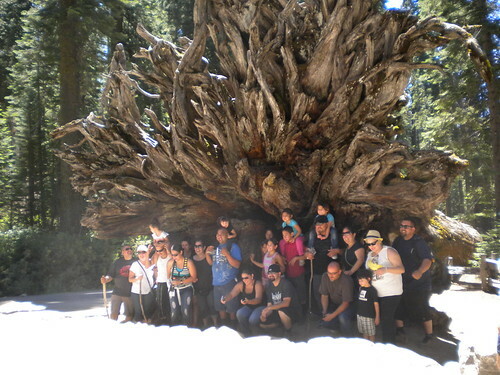 Thanks for sharing your adventures and those fantastic giant Sequoias with Share Your cup.